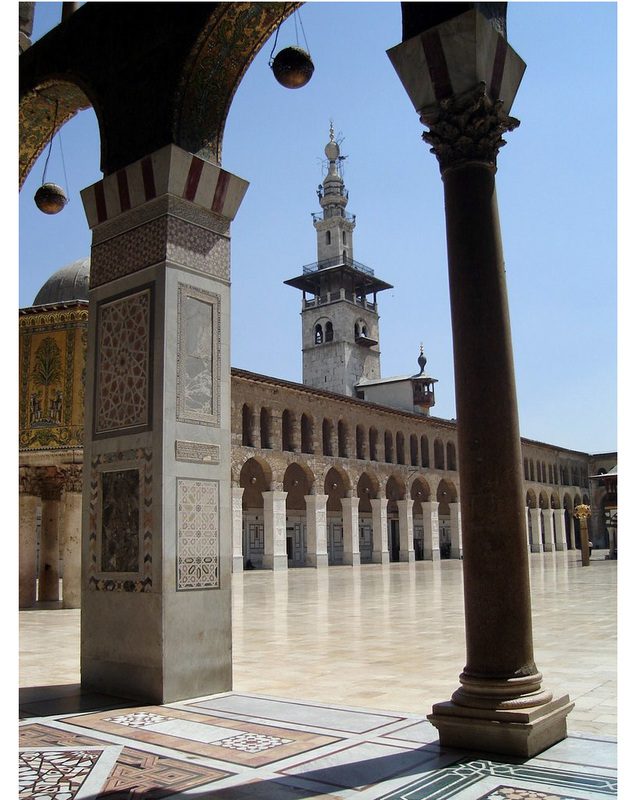 The Ummayad Mosque, also known as the Grand Mosque of Damascus is one of the oldest mosques in the world. In earlier times the site had a Temple of Hadad a Roman temple, dedicated to Jupiter and a Byzantine church. The Muslim conquest took place in 636 and the church was purchased and demolished in 715. The courtyard has something of the character of a christian cloister and something of the character of later mosque courts. The style of decoration is also intermediate between Christian and Muslim design. The crucial difference between a cloister court and a mosque court is that cloisters were domestic and mosque courts are for prayer.